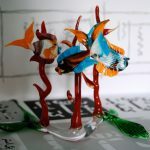 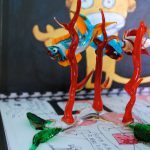 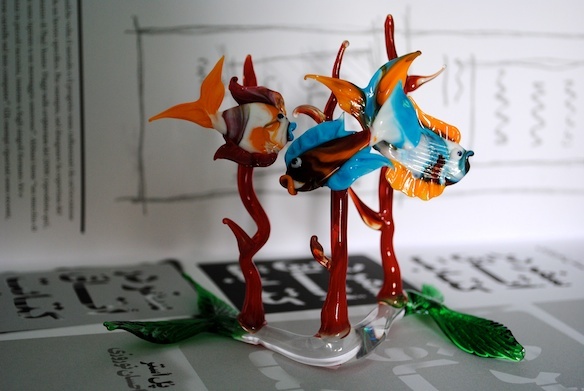 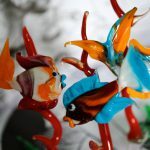 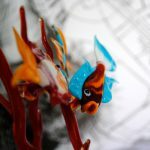 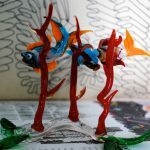 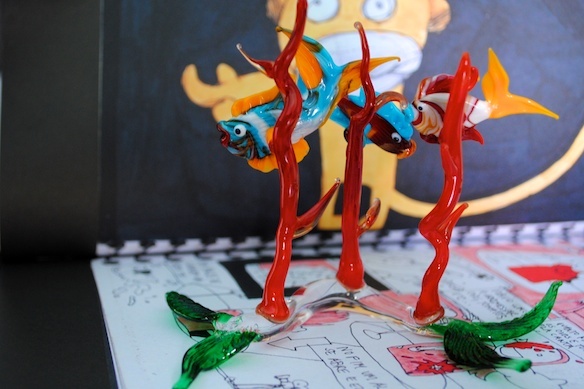 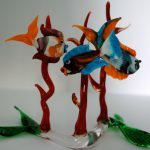 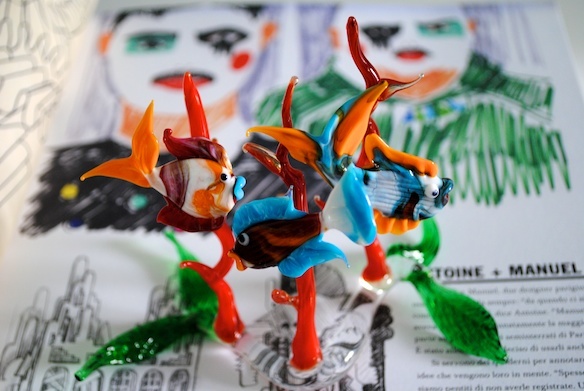 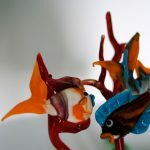 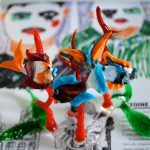 The craftsman, when he creates a Glass acquarium using lampworking technique, not only focuses on the shape of the aquarium that wants to create, but mostly tries to recreate the coral movements, the fish expressions and posture to make it as real as possible. 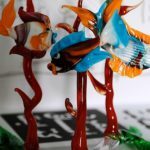 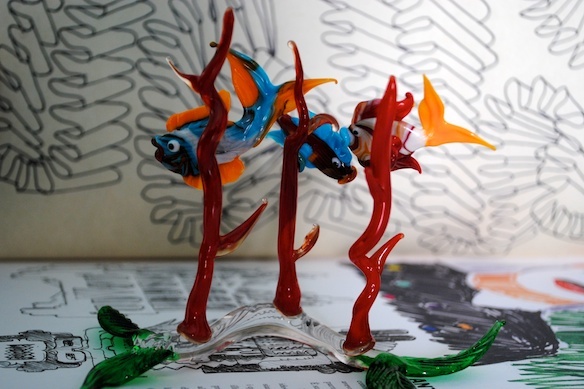 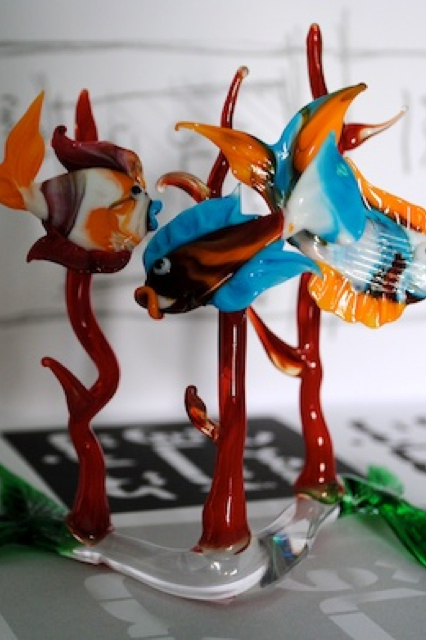 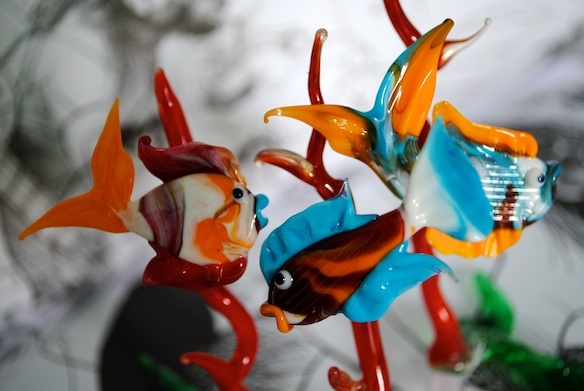 The glass master to create this glass artwork has taken inspiration from a recent trip to Australia in which he visited the Great Barrier Reef in Queensland. 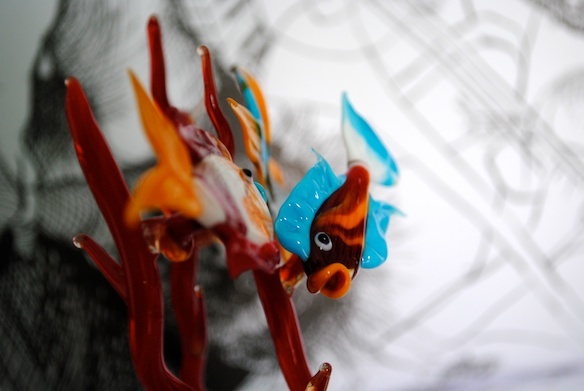 As a result of it he has created the underwater environment seen with his eyes in the glass artwork. 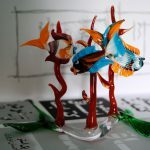 The Glass aquarium is composed by red corals strongly presents in the barrier reef, along with multicolor reef fishes. 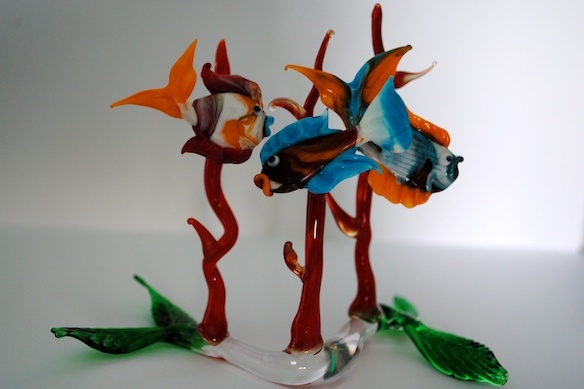 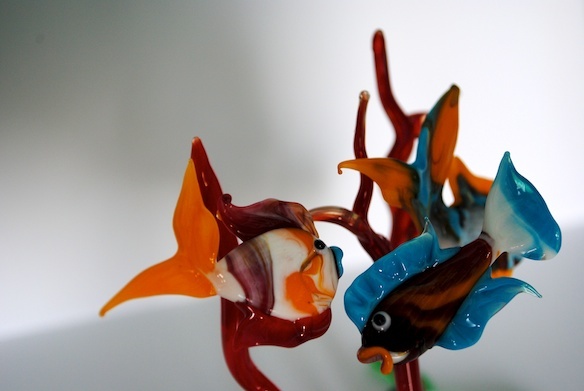 Each details is 100% handmade in Murano Glass. 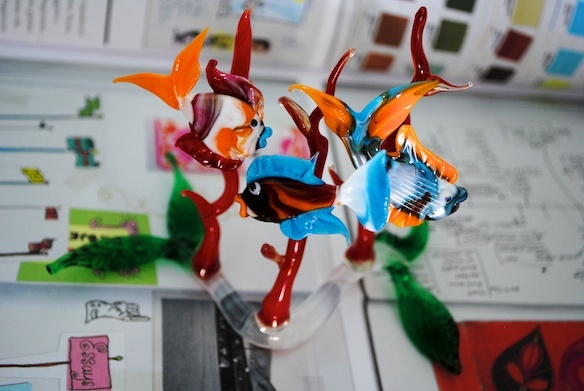 Each glass element has been merge to the others. 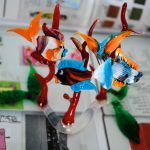 In fact, lampworking allows the glass masters more skilled to fuse together more than one glass element to create a unique glass artwork.